Shigeru Miyamoto was born on September 16, 1952 in the rural community of Sonebe, Japan. A naturally adventurous child with an endless imagination, young Miyamoto divided his days between his comic book collection and exploration. The numerous rice fields, meadows, canyons, and waterways surrounding his village was a perfect environment for him. One day while exploring Miyamoto happened upon a hole in the ground. After further examination he discovered it was more than a hole: it was an entrance to an underground cave. It took Miyamoto several days to work up the courage to enter the cave, but finally, armed only with a lantern, he entered the complex of caves. Miyamoto returned the caves many times through the course of the summer. He let his imagination run wild, inventing names and stories for the many areas of the cave. 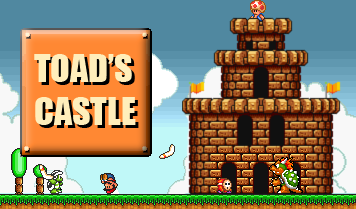 Miyamoto’s experience in the caves heavily influenced his future games. Growing up Miyamoto always wanted to do something creative that would be loved by the world. He painted and created toys. In 1970 he entered the Kanazawa Munici College of Industrial Arts and Crafts. Easily bored by his classes, his attendance was poor and it took him five years to graduate. After college Miyamoto was terrified at the thought of a ordinary, boring job. With the help of his father, he got a job interview with Hiroshi Yamauchi, who was running an old company called Nintendo that specialized in card games and small toys. Despite the fact that the position was not yet needed, and perhaps only through the influence of his father’s friendship with Yamauchi, Miyamoto was hired as Nintendo’s first staff artist in 1977. Three years later Miyamoto was asked by Yamauchi to work on a video game. Miyamoto, who loved to play video games in college, eagerly accepted the task. He originally started work on a Popeye game, but Nintendo lost the licensing rights. The game Miyamoto eventually revealed to Yamauchi was Donkey Kong. Donkey Kong, meaning “Stubborn Ape” was a revolutionary game in the arcade industry in 1981. At the time all the successful games featured shooting, aliens, or cars. The industry leaders wrote off Donkey Kong as a crazy idea that would surely fail. Far from failing, Donkey Kong went on to be Nintendo’s first major success and launched the career of video games’ most recognizable character: Mario. From Donkey Kong Miyamoto went on to create Mario Bros. which gave Mario his name (he was known as Jumper Man in Donkey Kong) and introduced his brother Luigi. Mario Bros. switched Mario’s career from carpenter to plumber, and saw the first appearances of the now famous Koopa and Spiny enemies. Several years later Miyamoto would create the legendary Super Mario Bros. for the NES that gave birth to the 2D scrolling platformer and revitalized the dying U.S. gaming industry. His masterpieces, including Mario, Zelda, Metroid, Star Fox, and F-Zero, have by far been the most influential and widely loved games of all time. Beyond software, Miyamoto heavily influenced the creation of shoulder buttons on controllers, analog sticks, rumble packs, and the soon to come Revolution controller. In 1998 he became the first member of the Academy of Interactive Arts and Sciences’ Hall of Fame. Despite his world-wide fame, Miyamoto has remained humble. He continues to work at Nintendo and insists on a receiving an average income. He lives nearby the Nintendo offices with his wife, Yasuko, and rides a bike to work.